Furiends today is a monumental day! 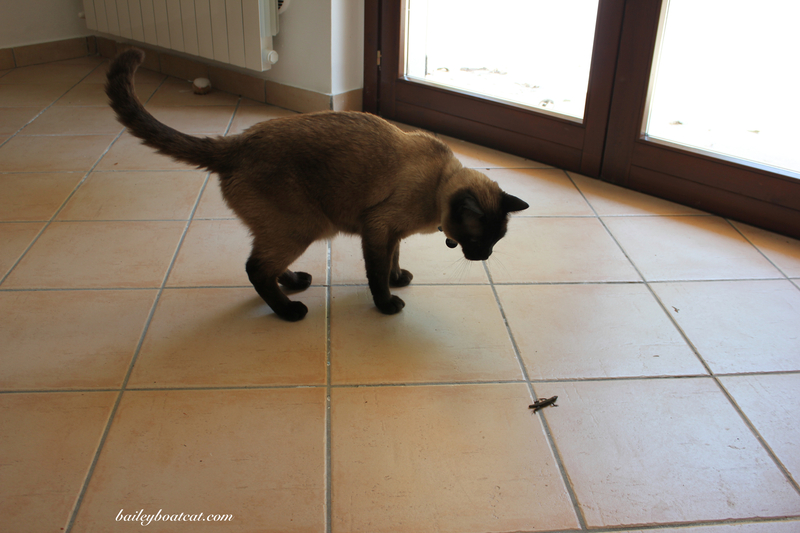 I caught a LIZARD! I’m so proud of myself! I was pottering in the garden with my lead on… I spotted the little fella and shot off. I didn’t actually expect to catch him but I did! I carried him straight into the house… He’s the first thing bigger than a spider that I’ve ever caught completely on my own! The humans were quite shocked, but they don’t realise how fast I can be when I’m on a mission! I played with my new furiend for a minute or two before mum was a spoilt sport and picked him up and put him outside in the bush. I’m not sure if I cut his tail or if he dropped it, but apparently it will grow back so that’s good. A PAWESOME way to start the weekend! Congratulations! Sorry your Mom ruined your fun. Good hunting skills Bailey. I live in Florida,USA and 3 of my cats will hunt my screened lanai with much lizard success. The fourth cat couldn’t be bothered. And yes the tails will grow back. Just an FYI the little guys really don’t taste very good. Cool lizard! I’m glad he survived though!!! Mums are spoilsports. 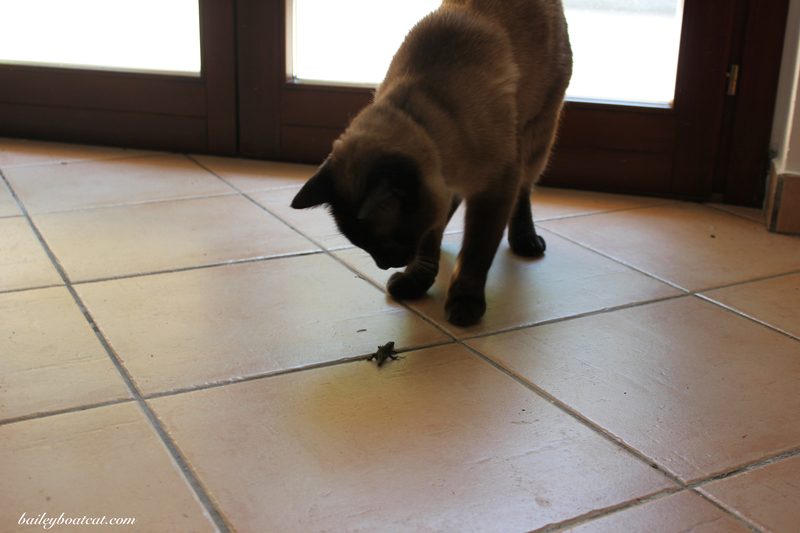 When Julie catches a mouse, mum sometimes “rescues” it! You’re quite the hunter, Bailey. We don’t have lizards here unfortunately. Congratulations, Bailey! I have yet to catch a lizard here. Sparkle caught them a few times when they managed to sneak into the house. Bailey the GREAT HUNTER! Way to go my friend………….! Nice catch. 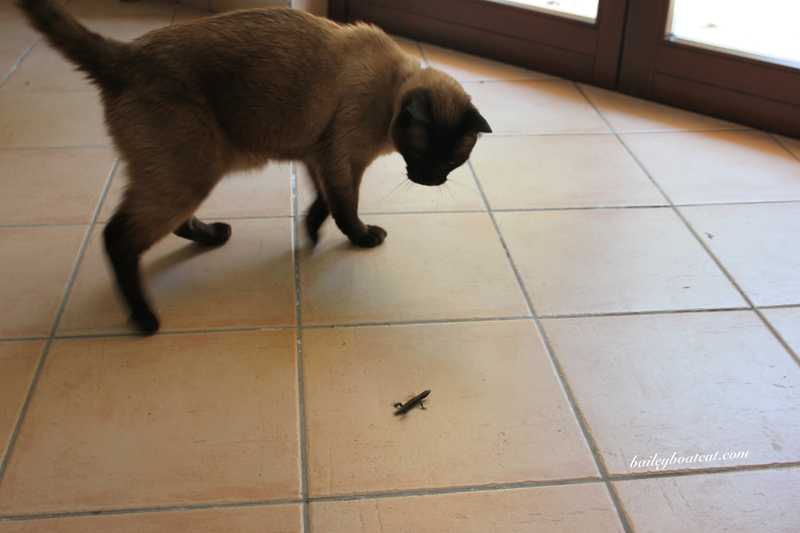 My Chris is a pro at catching lizards and always wants to bring them inside. If your humans are like ours and won’t let you “play” with real live playmates, ask them to check out Hexbugs for you. The smallest ones really do act like bugs, scurrying around willy nilly on their own…..at least to the batteries run out. Great fun without the guilt for the HuMom. As for your lizard friend? We bet you get to play with him again. That’s the good part of letting him go before the game is through! I’m so jealous! I’ve never even seen a lizard! My human would have rescued him, too. Some kitties will eat them, but I’d like to play with them. The look like our skinks. We get them taken off and ‘returned to the wild’ too HUH!